This is the story of Veronica Sue. Her body talks and yours does too. 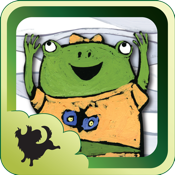 Join the adorable Veronica Sue in this wonderfully hand-painted fully interactive book for the iPad, iPhone, and iPod Touch! This is the first interactive children’s storybook by Author and Illustrator Kristen Applebee. Veronica Sue will surely be a hit bedtime story for all kids. Boys and girls alike will have a blast playing with and searching for the many exciting animated interactions contained within this amusing tale of Veronica Sue.